Hundreds of Palestinians from the besieged Gaza Strip traveled to occupied East Jerusalem today, the last Friday of Ramadan, to attend prayers at the Al-Aqsa Mosque, Palestinian sources revealed. 380 Palestinian worshipers, all above the age of 50, arrived at the Al-Aqsa Mosque through the Erez crossing. 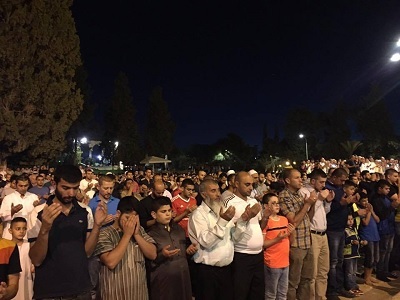 Officials added that 80 Palestinians would stay on till Saturday to pray during Laylat al-Qadr, a particularly holy day during the Muslim holiday when it is believed that the Quran was first revealed to the Prophet Muhammad. 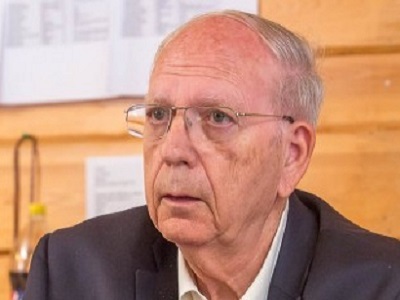 Israeli authorities had announced plans last month to allow hundreds of additional Gazans to attend prayers in Jerusalem for Laylat al-Qadr, but then cancelled permit coordination following an attack in Tel Aviv. More than 1.8 million Palestinians in the Gaza Strip are prevented from travel outside of the enclave due to a decade long military blockade imposed by Israel and upheld by Egypt on the southern border.